Poorman’s Heating and Air Conditioning in Fort Wayne, Indiana wants you to stay cool this summer! With the record high temperatures this summer it feels as though the U.S. can’t catch a break when it comes to the heat. Well guess what? This means your air conditioning can’t catch a break either! 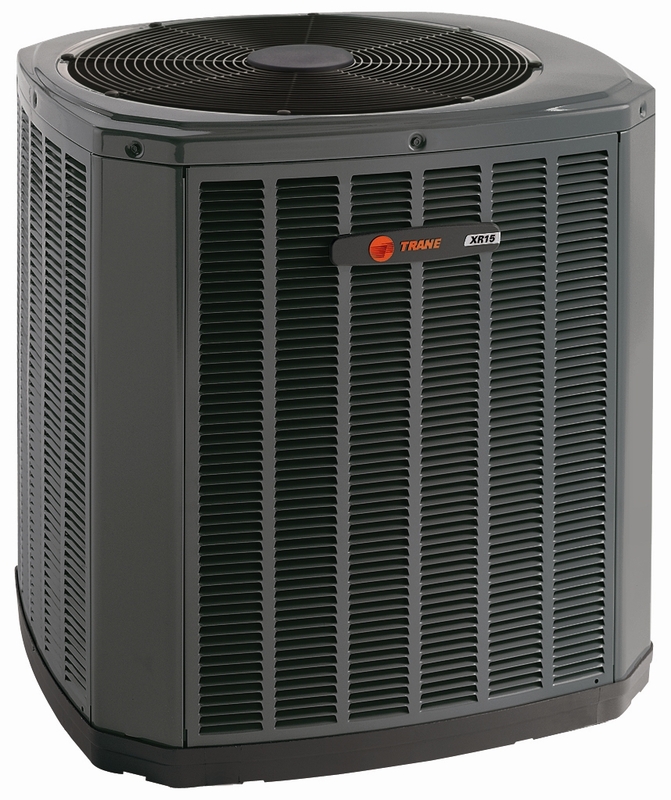 Recently, Doitbest.com posted an article titled, Troubleshooting Central Air Conditioning Problems. If you’re having air conditioning problems this article goes through several scenerios to help give you an idea as to why your unit isn’t running properly. Once you’ve gained a better understanding of your air conditioner, call in the professionals at Poorman’s Heating and Air Conditioning (260.422.3534). Poorman’s specializes in heating systems, air conditioning units, plumbing services, geothermal and indoor air quality. You won’t be disappointed with Poorman’s quick response and affordable, outstanding service. Many customers of ours are unaware of the fact that we are fully qualified to install geothermal systems. If you’re confused as to what exactly a geothermal system consists of, you’re definitely not alone. Although it’s safe to say that this type of heating and cooling system is far from new, it has become quite a bit more popular over the years. Geothermal heat pumps are too loud. The truth is that actually geothermal pumps run very quietly. There also fails to be any visible equipment outside your home to bother your neighbors. Geothermal pumps can only heat one item at a time ie: water heater, home, etc. Depending on the size of your system your G.P. can handle multiple outlets at the same time. Geothermal systems put Freon in the refrigerant lines going into the ground. Actually the majority of the time the liquid going into the unground loops is a mixture between water and antifreeze. Geothermal systems use too much water. The geothermal systems do not actually use up any water. Older geothermal models had issues with water waste once the water passed through the heat exchanger, but those problems have since been resolved and are no longer used. The systems now actually save millions of gallons of water due to being unable to evaporate underground. Geothermal systems do not use renewable energy because they use electricity. Although geothermal systems do in fact use electricity they only need to function on one unit in order to push up to five units of either heating or cooling to the proper location. Heating and cooling your home through the power of the underground is getting to be more and more popular for homeowners. Underground, you ask? Yes, you heard correctly! 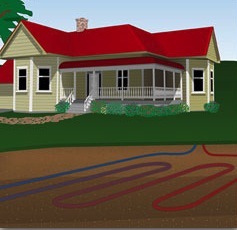 Geothermal is the process of drawing energy from underground in order to heat or cool an area. Today, the amount of geothermal energy users has well surpassed one million in America. Even though going geothermal tends to require less maintenance than furnaces and air conditioning units, it’s not necessarily something to jump right into. Proper Installation: Make sure that your geothermal system is installed by a qualified HVAC technician. This installation by far exceeds the regular HVAC installation and will need to be done by a company that is particularly knowledgeable in the outdoor components required to provide you with a fully functioning system. If installed properly, you will experience very little necessary maintenance. Debris Damage: When maintenance does need to be done to your geothermal system it often times includes clearing dirt and other debris from the heat exchanger, blower or sometimes even both. Antifreeze: Underground in your system antifreeze or a mixture of both water and antifreeze circulates throughout the loops to help absorb thermal energy. In order to keep your system running top notch, the levels of antifreeze must be checked to make sure your system is running properly. Piping: You have two choices when it comes to piping your underground system: cooper or plastic. Whatever type you have running underground should not require maintenance. However, technicians do have the ability to check your pipes to make sure there is no leaking. It has come to our attention that there are several places where asbestos has a tendency to grow and hideout without you being fully aware. Asbestos fibers can seriously affect your health, so it’s important to take a second look at these products to ensure you and your family are safe. If you’re concerned about your building materials, be aware that most buildings constructed following 1978, are primarily safe—but it’s important to be aware. If you’re in need of some assistance or have questions regarding service call the experts at Poorman’s Heating and Air Conditioning (260.422.3534). Emergency services are available 24/7. You won’t be disappointed with Poorman’s quick response and affordable, outstanding service. Don’t forget to check out Poorman’s Facebook page! “Like” us! Vote Poorman’s Heating and Air Conditioning! Every year Fort Wayne Newspapers holds a contest to highlight the best of the best in the city. The Fort Wayne Readers’ Choice consists of hundreds of businesses in several different categories. This year, Poorman’s Heating and Air Conditioning is nominated! Since 1978, Poorman’s has been recognized for our quality of service throughout the Greater Fort Wayne area. If you’ve been satisfied with your Poorman’s service, we’re asking our faithful patrons to help vote for us as the best ‘Home Heating and Cooling’ company in Fort Wayne. Voting takes place until July 29, 2013. You can vote on FortWayne.com or the direct web address here. Thank-you in advance! We appreciate your business and your vote. If you’re in need of some assistance or have questions regarding service call the experts at Poorman’s Heating and Air Conditioning (260.422.3534). Emergency services are available 24/7. You won’t be disappointed with Poorman’s quick response and affordable, outstanding service. Don’t forget to check out Poorman’s Facebook page! “Like” us! If you’re headed to the lake over the 4th of July weekend, don’t forget about properly shutting your house down before you leave. Did you know that making the extra effort to prepare your home before you leave can save you on energy bill? Light Timers: Install or plug in light timers for your indoor/outdoor lights to prevent energy waste. A light timer will also help it appear as though there are residents still present in the household while you’re away. Refrigerator: Did you know that the fridge is one of the biggest energy users in your home? If you’re leaving for a long weekend, try adjusting the thermostat. Turn up both the fridge and freezer to 38 degrees and 5 degrees to help conserve energy. Electronics: Having your typical electronics plugged in constantly can be a large waste of energy, even when not in use. Unplug all electronics before leaving to help save. Air Conditioners: Air conditioning on a warm day is almost necessary, but it’s definitely unnecessary to cool your home while you’re away. Turning up your thermostat or putting it on vacation mode can help immensely when trying to save on your energy bill. If you’re in need of some assistance or have questions regarding call the experts at Poorman’s Heating and Air Conditioning (260.422.3534). Emergency services are available 24/7. You won’t be disappointed with Poorman’s quick response and affordable, outstanding service. Don’t forget to check out Poorman’s Facebook page! “Like” us! With approved credit you could be well on your way to a new and improved home. Starting your home project can be as easy as applying for this credit card program online. Plus, you’re not forced to wait to see if you’re approved. You can be evaluated in as little as minutes. If you’re in need of some assistance or have questions regarding your financing, call the experts at Poorman’s Heating and Air Conditioning (260.422.3534). Emergency services are available 24/7. You won’t be disappointed with Poorman’s quick response and affordable, outstanding service. Don’t forget to check out Poorman’s Facebook page! “Like” us! Being green is all the rage (as it should be!) But are you doing everything in your power to create a green atmosphere for your home? There are several benefits to an environmentally friendly geothermal home but the costs can be discouraging. As a homeowner, before deciding to purchase a geothermal system, you must ask yourself if in the end will this big investment increase the value of your home. Geothermal systems are a large investment and people want to make sure they will still get a benefit from the system if they decide to sell their home before they reach their payback period. Real estate appraisers refer to the value an amenity such as a geothermal system adds to the value of a home as Contributory Value. Which in non-real estate terms simply means finding a base value of your home by considering the values of the homes in your area. While geothermal system installations have been increasing, it can still be hard to find comparable homes that have sold with geothermal systems. This makes finding concrete data difficult, and because of this many realtors and appraisers will not be able to give you a firm answer on whether or not a geothermal system will increase the value of your home. As geothermal systems continue to grow in popularity and homeowners become increasingly aware of the many benefits (lower operating costs, clean and safe, environmentally friendly) of these systems, more data will be available for appraisers to use to find the Contributory Value of geothermal. In the meantime, if you are considering geothermal but are not sure how long you will be staying in your home, think about the value you get can by using this awesome technology. If you can see value in this system, isn’t it possible your future buyer could see value too?